Australian pricing for the new Audi RS3 has not been officially announced but plenty of local dealers will happily sign you up to buy their new 270kW/465Nm hot hatch. When they do the first figure they’ll put down is $78,900, that’ll be the base price, before on road costs. At first that doesn’t seem too bad; mid-80s driveaway for an RS3 is okay value, maybe. But that’s before you start ticking the options boxes. One of the two RS Performance Packs offered will add $6490, they include things like bigger wheels and tyres, better stereo, magnetic ride, carbon fibre interior bits and a fresh lick of paint for your brake calipers. If you want some extra driver aids, such as adaptive cruise control, you’ll need to tick the $1600 Assistance Pack. The RS Design Pack, to jazz up your interior, will add another $1950. And if you want to customise the outside of your new RS3 then the extended styling packs (matt silver or gloss black) up the price by a further $1600. More usual extras like metallic paint ($1495), crystal effect paint ($2015) and a pamoramic sunroof ($2535) are also likely to prove popular. All of a sudden you could be looking at a six-figure sum for your growling five-pot quattro. And that’s before you’ve asked about ceramic brakes (front only) or racing style bucket seats. I think that is reasonably priced if you can handle having a ‘base’ model… considering the M235 is 80K and the A45 is 75K. Most of the buyers will want a few of the packs and extras which will push it into the 90-100k mark before on roads – which is a lot of money for a hatch! $1500 for paint?! where does the extra grand come from? normally just a $500 option. 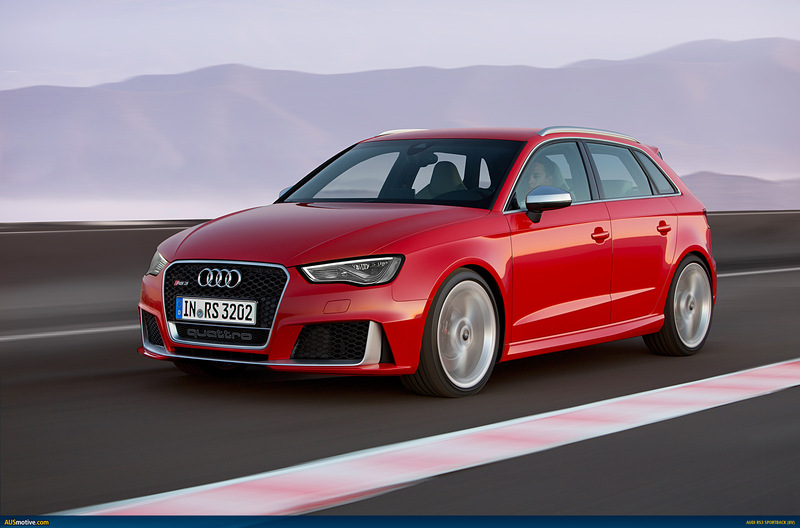 Jul 20, 2015: AUSmotive.com » Are you ready for the Audi RS3?